In Japan, the next bottle of sake is never more than 10 metres away. Sake can be classified into a few hundred types, depending upon brewing processes, season, complexities and other factors. Broadly, there is Junmai (rice only without alcohol), Honjozo (with added alcohol), Ginjo (highly polished rice with or without alcohol), Daiginjo (very finely polished rice with or without alcohol) and Nama sake. All these varieties are in fresh and non-pasteurised form. Exploring this Japanese beverage is a fun experience. If you are really enthusiastic, consider these walking trails. Take the train to Fussa Station from Tokyo Station (on Chuo-Ome line) and walk 10 minutes to Tamura Brewery. This brewery has been in production since the Edo period and was established in 1822. A visit to the brewery includes a free tour of the production and tasting. About three kilometres away from Tamura is Ishikawa brewery, which started business in 1863. They take pride in producing sake from Tama river. Explore the premises to discover an informative museum, two restaurants, a beer canapé (they also brew beer) and a courtyard of ornate trees. Fill a bottle of water from the natural springs while you are here. Another brewery in the neighbourhood worth a visit is Nakamura. About four kilometres away from Ishikawa, this one is in Akiruno city and uses water from Aki River to brew the drink. There is no storehouse in this brewery, though they have an impressive museum. Within Tokyo city limits, walking along Golden Gai in Shinjuku is a must. These very narrow alleys have a couple of hundred small bars where sake (and other liquors) are served. In these dim drinking dens, guests sit along the counter where they are served by their host, literally rubbing shoulders with their neighbours. Each bar can accommodate about six customers and most of them are regulars. Golden Gai may be the scruffiest part in Tokyo, but also the most fascinating. Shop: Suzuden Sake, about two-three kilometres from Golden Gai. Fushimi-ku in Kyotos southern part is known as the sake neighbourhood. Known for its high-quality spring water, Fushimi is home to the oldest breweries in Japan. Walk from Fushimi-Momoyama Station into a rustic neighbourhood, where traditional wooden Japanese houses flank the streets. From the eaves of every alternate house, a large cedar ball hangs. Locally called sugidama, green ones indicate fresh sake is being brewed whereas brown means it is ready to drink. Gekkeikan Okura Sake Museum is one of the oldest family-owned companies in the world. The brewery dates back to 1637, though the brand Gekkeikan emerged only in 1905. Entry to the brewery premises and museum is ¥300. Guests are welcome to drink Fushimis spring water, study the life-size containers used for brewing and conclude at the museum which documents the history of Gekkeikan. Tasting towards the end of the tour includes the sweet Retro-Bottle Ginjoshu, crisp Tama-no-Izumi Daiginjo and very sweet Umesho (plum wine). A short 100 metres away is Fushimi Yumehyakushu, a café and information centre. This was the flagship store of Gekkeikan and is a charming café now known for sake-flavoured sweets. The vast courtyard of Kizakura Kappa Country, a few metres ahead, houses sake brewery (not open to public). Their fun museum has a gallery of Kappa, a mythical monster, and the restaurants menu is delectable. About 400 metres away, cross over a small bridge above Uji River onwards Chokenji Temple. This river transports sake barrels from the breweries that line its bank, including Gekkeikan. Shop: Ginjo Shubo Aburacho, 350 metres away from Kizakura Kappa Country. About 40 minutes east of Hiroshima by train and Saijo district flourishes as the sake town in this part of Japan. The street is dotted with numerous red brick chimneys — there are nine breweries on this stretch. Start an exploratory trail with Kamotsuru Brewery, which is 400 metres from Saijo Station. 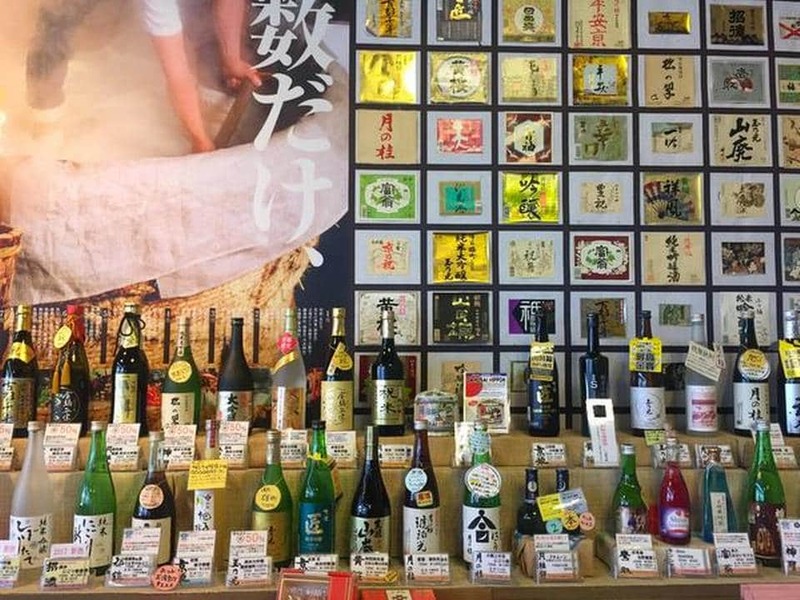 Here, get an insight into the sake production and their signature blends like Daiginjo Tokusei Gold or any seasonal varieties. A few metres away is Fukubijin and Kamoizumi. The former became a legal corporation in 1917, whereas the latter was established in 1912, making them contemporaries. Walking along this street, there is Kirei, which brews dry and tasteful sake and Jokamachi Udon — sake-flavoured noodles. The trail continues with Saijotsuru and finally Sanyotsuru. Most breweries in Hiroshima utilise soft water, which was believed to be unsuitable for brewing. The deviation produced a new form of Ginjo. In fact, Hiroshima is sometimes called the birthplace of Ginjo. Shop: Yamatoya, about two kilometres from Hiroshima Station.